Terry Tucker ABPPAThis shows the qualification attained by Terry Tucker within the SWPP and associated societies. 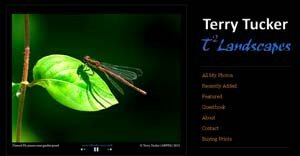 Terry Tucker is predominately a Landscape, Nature and Fine Art Photographer. A committed photographer most of his life with an education and science background has helped him to effortlessly produce high quality large format prints. An opportunity from 2001 allowed him to work increasingly as a professional mostly selling fine art prints to galleries and his images to calendars. A deep and detailed understanding of both film and digital technology to control tone, texture and colour helps Terry pursue his interest in large prints that give the viewer an intimate experience of the subject. Terry runs classes to help others improve their photography and printing. He also copies and prints work for other artists and photographers to exhibition standard.